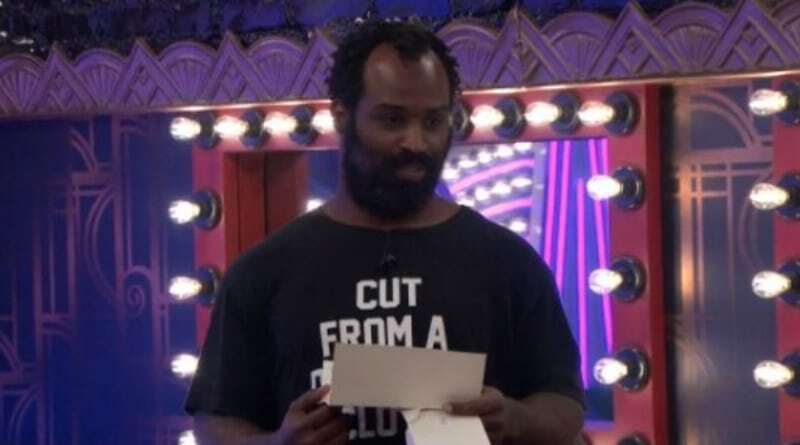 Celebrity Big Brother spoilers reveal Ricky Williams won the HoH which gives him an automatic spot in the Final 4. He nominated Dina Lohan and Kandi Burruss for eviction showing his loyalty to the remaining Bedroom Alliance members Lolo Jones and Tamar Braxton. With Ricky in power, the other four houseguests might be changing their allegiances to guarantee a spot in the Final 2. Former NFL Ricky Williams scored a touchdown by winning an important HoH competition. Not only does it secure him a place in the Final Four, but now he is just that much closer to the $250,000 grand prize. This is Ricky’s first HoH of the season and arguably the most essential one. All he has to do now is convince the other two celebs that make it to the end to choose him in their Final Two. The Bedroom Alliance aka Ricky, Tamar Braxton, and Lolo Jones have tried to remain loyal to each other. There is a good chance Ricky Williams will be sitting in one of the two chairs in front of Julie Chen come Celebrity Big Brother finale night. Staying true to his original alliance, Ricky Williams nominated Kandi Burruss and Dina Lohan. As the only floaters left in the house, Dina and Kandi were obvious choices. With Tom Green gone, the two ladies make up the minority in the Celebrity Big Brother house. Having not won any competitions between them, it is hard to see either woman as huge threats. It might have been a better decision to try and get rid of Tamar Braxton or Lolo Jones because they have both won HoH and PoV. That way, Ricky would have a better chance of beating one of the two nominees and whichever alliance member made it to the Final Four. Celebrity Big Brother Spoilers: Is A Plan To Backdoor Lolo Jones In Place? Tamar Braxton teased the idea of getting rid of Lolo Jones to HoH Ricky Williams while they have the chance. Of course, Tamar is trying to secure her safety, but Ricky seemed to consider the idea. He alluded that if either Dina Lohan or Kandi Burruss win the veto that he would put up Lolo. Neither of them felt great about the idea but they both know that there would be no other option. Lolo could be in trouble if anyone but herself wins this crucial Power of Veto. Tamar is basically in a Final 2 with every member of the remaining five besides Dina, which puts her in a good position going into finale night. With five Celebrity Big Brother players left, there are plenty of combinations for the last players standing. As of right now, there are several different Final 2 deals in place. Kandi Burruss and her new friend Dina Lohan have latched on to one another. Dina would probably take Kandi, but Kandi has an alliance with Tamar Braxton, so she could go either way. The Bedroom Alliance final two deals are where it gets messy. Ricky Williams and Tamar Braxton have already discussed backdooring Lolo Jones if the situation presents itself. Tamar is also good with Lolo Jones, even after all their struggles this season so there is a high chance the reality star will make it to Final Two. Tamar is the only celebrity who could surprise us with her pick. She has allegiances to Kandi, Ricky, and Lolo. It all comes down to who she believes she can beat in the end. Follow Soap Dirt for all the latest Celebrity Big Brother spoilers. ‘Celebrity Big Brother’ Spoilers: CBS Hiding Natalie Eva Marie and Lolo Jones Delusions?